Happy New Year! You are warmly invited to our first paper of 2010. 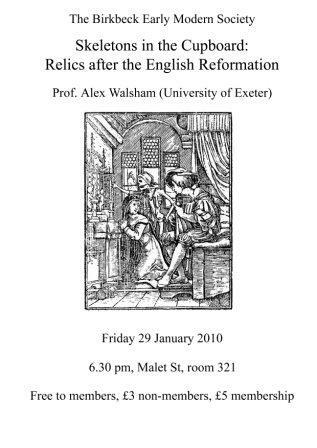 Prof. Alex Walsham works on the religious and cultural history of early modern Britain, especially the immediate impact and long-term repercussions of the Reformation. Her publications include Providence in Early Modern England (2001), and Charitable Hatred: Tolerance and Intolerance in England, 1500-1700 (Politics, culture & society in early modern Britain) (2009). The subject of relics after the Reformation sounds fascinating! I would also like to draw your attention to another paper. 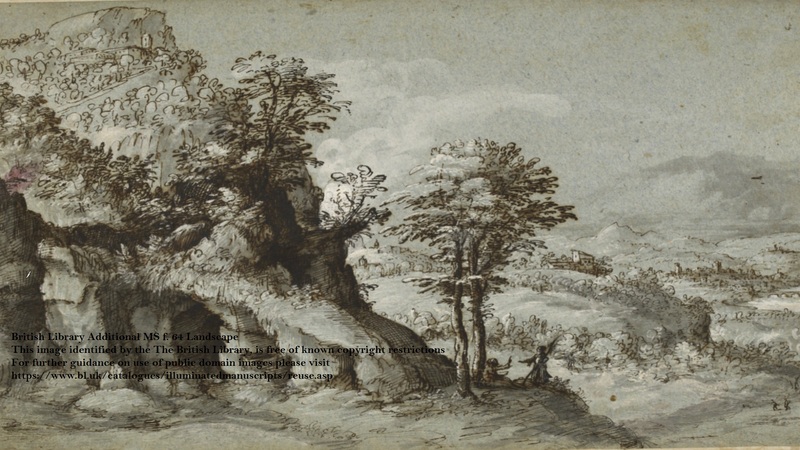 Birkbeck’s Dr Laura Stewart will be speaking about ‘”Functional Breakdown”, a Scottish Perspective: Politics and Finance before the British Civil Wars’, Monday 22 Feb, 5.15 pm, Tudor and Stuart seminar, Wolfson Room, IHR. I look forward to seeing you on 29 January. NextReminder: Birkbeck EMS’s first event of 2010! Tonight!